Is Titanium the Right Choice for High-Performance Bike Frames? Ever since the early 1990s, titanium has been the preferred choice for high-performance bicycles. In recent years, though, carbon fibre has started to make a lot of waves in the industry, trying to make a name for itself as a performance material. It is light and strong and offers a number of other benefits, so one has to wonder if titanium is still an option for serious bike frame manufacturers and cyclists. 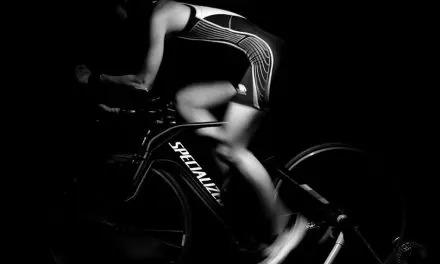 The thing is, a high-performance bike is so much more than the sum of its parts, and the best ones use the right combinations of materials and manufacturing processes to produce top-of-the-line equipment. Titanium has been in regular use for decades, of course, but mostly in aircrafts and military vehicles. 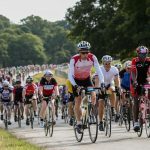 It didn’t make its debut in the biking world until sometime in the 1960s [brief history of the bicycle frame], but even then they didn’t have the same alloys that are available today. The aerospace industry continued to push for new developments, which eventually had an impact on the recreational sector including the manufacture of bike frames and the cycle racing industry. Before titanium took the racing world by storm, steel and aluminum were used as the most typical bike frames. There were other polymer-based materials that were used in other recreational cycles, but not as much in the racing area of bicycling. Many notable riders used heavier bikes. Racers, just like many other athletes, are always looking for ways to improve their sport. The best way to improve racing is to improve the bicycles they ride to give them just a bit of a competitive edge. As materials have improved, so have bicycles. Titanium has been able to provide a large margin of improvement for racers. It would still take a few more years, and an appearance in the Tour de France, to really start to rise to prominence. Greg LeMond was really the first biker to take titanium to France, with his Merlin Extra Light prototype. He didn’t win the race, but he definitely sparked a conversation about titanium as a new alternative for the racing scene. This was just the beginning of changes for racing bikes, but it was the necessary stage to give titanium bike frames the bump they really needed. Innovation typically starts in the professional arena, and this was no exception. Once the manufacturers, retailers, and consumers caught wind of the improved frames, it was quickly incorporated into production with many different companies across the globe. Despite the rise in popularity for materials like carbon fibre, for many serious cyclists nothing will ever really replace a titanium frame when it comes to delivering the best ride. The main benefits and advantages have to do with the feel and performance of a titanium frame versus any other material. Titanium manages to balance strength, weight, durability, and damping to create a stiff frame that is, in a strange way, a little extra springy and forgiving. This metal creates a bike that reacts more to the rider, whereas carbon fibre bikes simply don’t allow a very interactive experience. This works because a titanium frame is basically a conglomeration of tubes that have been engineered specifically to produce a smoother ride. There are many different shapes and qualities, even within this one component. The way that the tube is milled actually determines a lot of the crystallographic texture of the metal, which, in turn, impacts the yield strength, ductility, and fatigue strength of the frame. In the end, this leads to a frame that has a little more give at first but, as it flexes, becomes more resistant. As a pleasant side note, it also means the frame is more likely to survive a crash, where carbon fibre frames are more likely to suffer significant damage. This is because of titanium’s elongation and tensile strength. These properties are important measurements that show how much a metal can bend before it breaks. Titanium has quite a bit more flexibility and is much stronger. Tensile strength is another measurement that titanium excels in, which shows titanium does not fracture very easily either. Even small variations in the titanium tube can have a surprising difference in the characteristics of the ride, so it’s important to know what you’re getting into, especially since it’s possible to produce titanium tubing in a number of different shapes, and many manufacturers are experimenting with them. However, tapering and internal butting can potentially compromise titanium’s characteristics, and some shapes could even impact the stiffness of the frame on at least one plane. So while different shapes can still provide a pretty good ride, it’s probably best to stick with traditional round tubes. There is still a level of variability within round tubes. Each frame is going to feel differently, depending on the shape of your body, weight and height. Tubes come in all thicknesses and lengths, responding to your movements with varying flexibility. An over-sized tubing on a bicycle will be too harsh and stiff of a frame for a smaller, lighter rider. If you are a taller, heavier rider though, that same frame will provide the perfect amount of stiffness to help you feel secure. 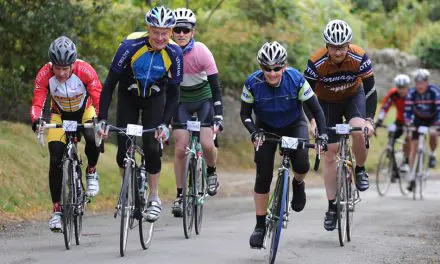 Carbon fibre has also been a popular material for a number of other bike components because its long fibres make it possible to manufacture a wide range of different shapes. Up until recently, titanium was at a disadvantage because it was too hard to work with and wasn’t able to mimic all those shapes. Enter the wonderful technology of 3D printing. Titanium starts off as a dust-like oxide, which makes it usable in some of these printers. Some manufacturers have already started experimenting with the potential here because it is suddenly possible to create some extremely complex titanium components with 3D printers. One company based in the UK, named Empire Cycles, even went so far as to print out an entire titanium 3D bicycle, though that’s not exactly a manufacturing method that will produce a readily available retail supply. As 3D printing continues to improve and become more mainstream, it will be interesting to see how titanium bike frames will advance. There are always ways to build on former technology and this is just one of the avenues that can make riding a bicycle better. There is a lot of potential for high-performance bikes with titanium, whether it’s used in the frame or another component that requires some complex geometries. 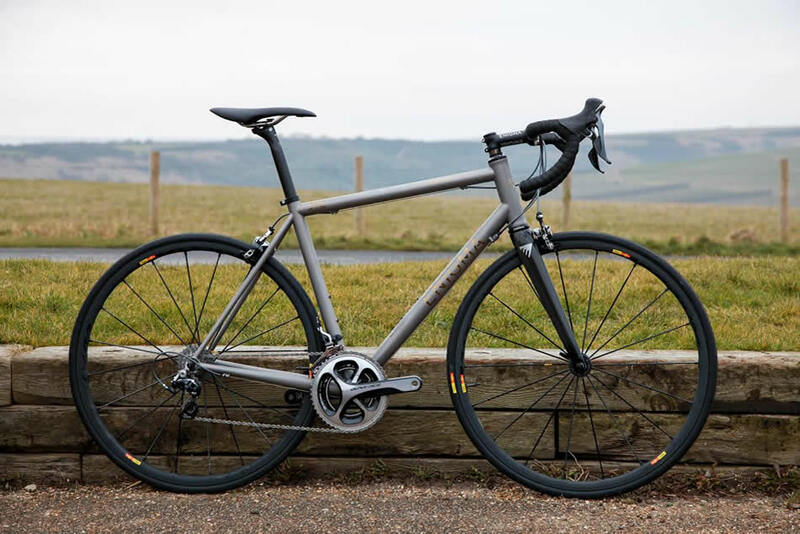 This means that even though materials like carbon fibre are producing some amazing bikes, titanium remains a popular choice for enthusiasts who want a really smooth ride.